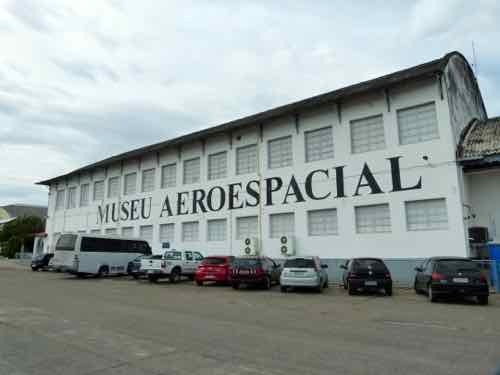 We reserved a day in Rio for the Museu Aeroespacial even though we were really headed to Brazil to see wildlife. ...and sure enough there is. ...but you’ve got to know that Rio is a huge sprawling city. We'll get to the directions at the bottom. 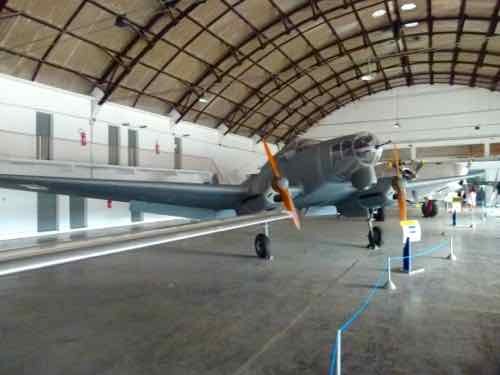 The Museu Aeroespacial is on the site of the old Escolar de Aeronautic. 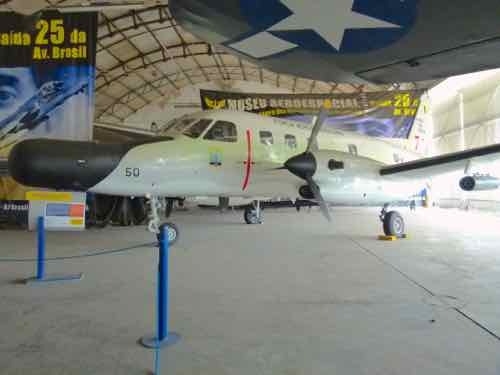 It is part of the university of the Air Force’s campus and on a far edge of Rio de Janeiro. 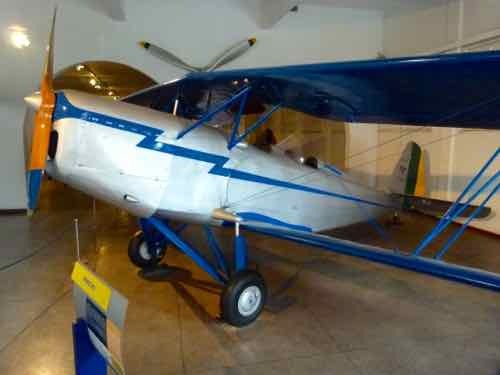 As you would expect from a facility called the cradle of Brazilian aviation, Brazil’s most famous aviation pioneer greets you when you enter. 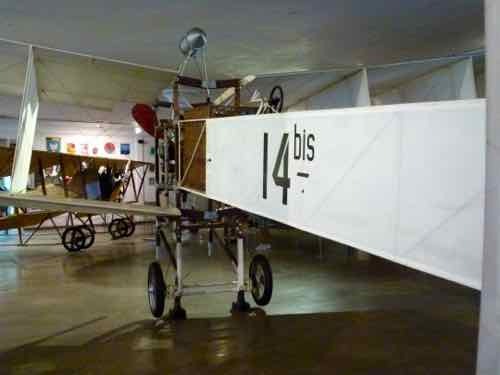 And the first plane you’ll see when you enter the museum is the Santos-Dumont 14-bis. 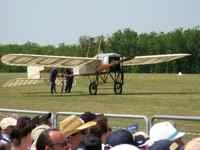 It is a replica, of course. 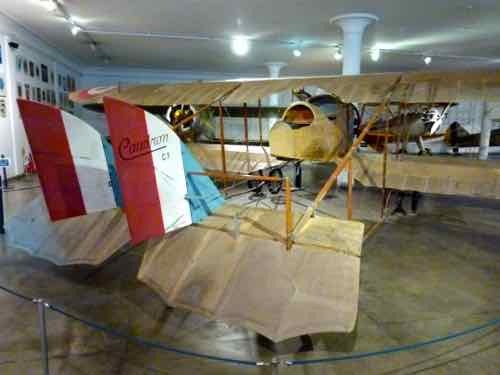 There is also a replica of one of his Demoiselle monoplanes in the museum. 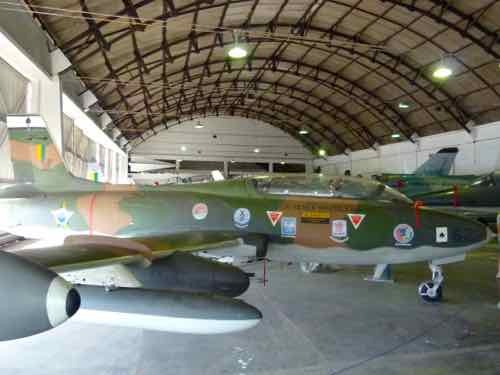 This museum proceeds through several hangars and through years of aviation development. 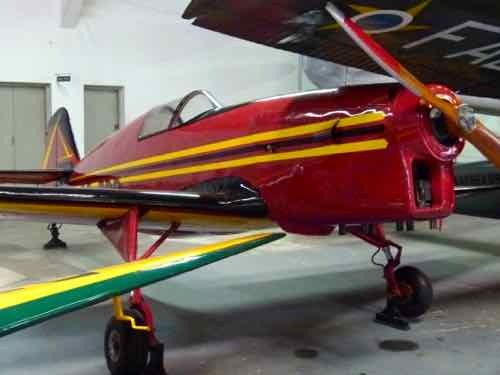 The Muniz-7 was one of several planes that Mark had never heard of... small production runs of planes built in Brazil and probably only used there or neighboring South American countries. 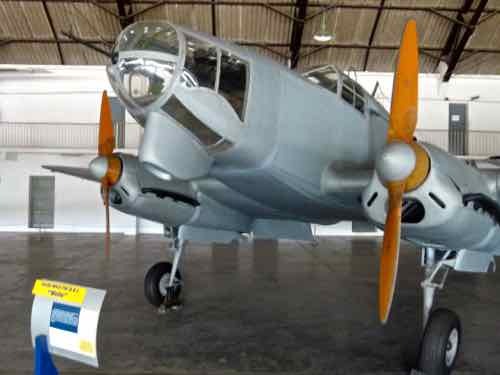 The Focke-Wulf Fw 58 B-2 “Weihe” was a German aircraft built as an advanced trainer. 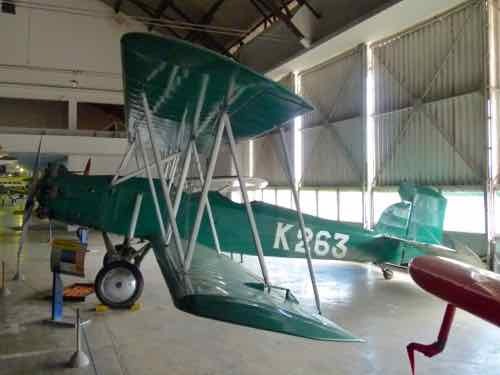 This one was built under license in Brazil. 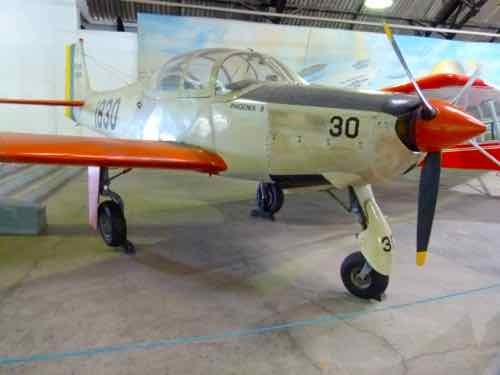 This one was the only Fw 58 on display in the world when we visited, though we understand there is a restoration underway in Norway. 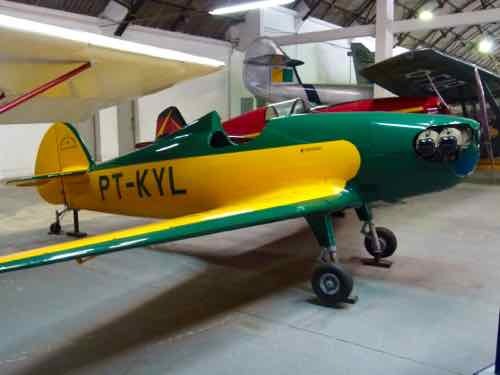 Other Brazilian aeronautic companies were also new to us, like Aerotec and Industria Aeronautica Neiva. 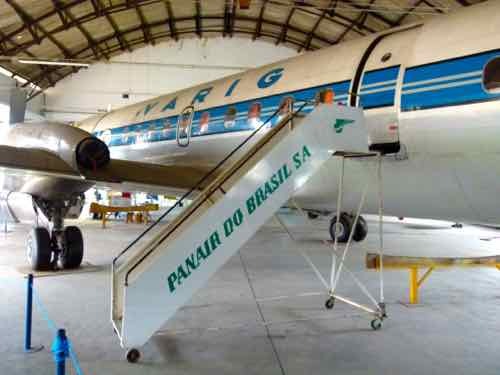 Empresa Brasileira de Aeronáutica is what Embraer stands for. 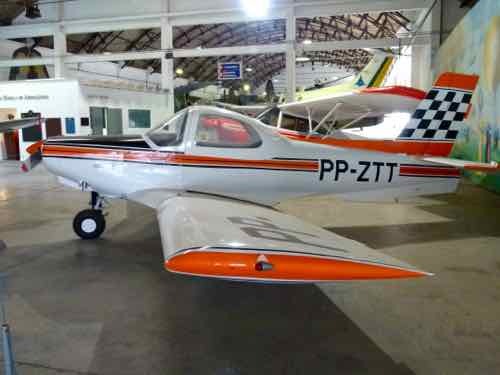 It’s a Brazilian aerospace company that produces a wide variety of aircraft… commercial, military, executive and agricultural. 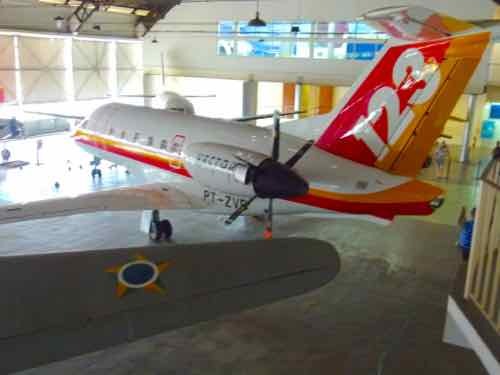 You would expect to find several Embraer aircraft in a Brazilian museum, wouldn’t you? 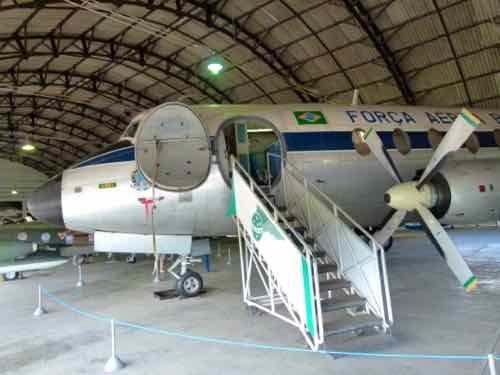 There was an old Vickers Viscount that was used by the Brazilian Air Force. 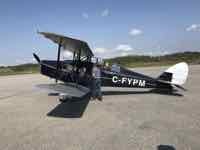 Don't you love the old rounded doors and windows? I'm not entirely joking here. I could try to embed a map here, but I'm not sure it would do you any good. We had a "Google map" that said it should take us about an hour to get there from the beach area around Copacabana and Ipanema... It will take longer. 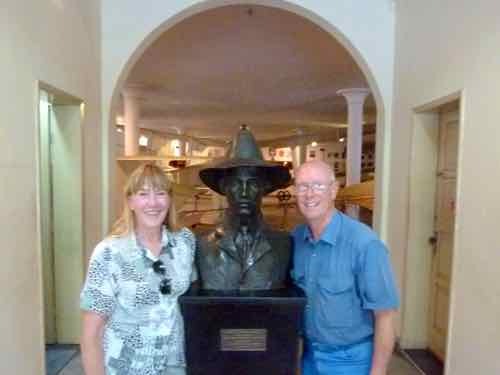 Our hotel got us a taxi driver who could speak English, had a GPS and said he knew where the museum was... and he took a credit card. Even with that he got lost in one of the favelas... our very own favela tour. You are far out of town... and on a military base, so you will not be able to just hail a taxi to take you back to your hotel. 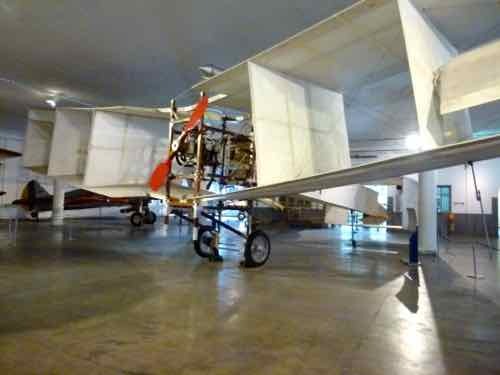 Now, with all those warnings... it's definitely a great museum and worth visiting.